Being raised in a small town I grew up on a tobacco farm in southern Wisconsin, USA. The work was hard and required lots of bending and lifting. As a child I had low energy, neck pain, headaches and was sick often. I could sense something was wrong, but couldn’t pin-point exactly what that was. Many trips to the doctor left me with little answers and feeling dejected. Finally, my doctor told me that “It is all in my head”. The rejection of my very real health issues by someone whom I trusted was traumatising. I refused to accept what I had been told and set out to find another answer. In my path of trying to figure this out I met a chiropractor who explained that my nerves control all the functions of my body and that interference with the regular flow of information through the nervous system could cause any or all of my symptoms. This doctor of chiropractic listened carefully to my history and took an X-ray which confirmed that the cause of my life-long ailments was interference in my nervous system function caused by subluxation. I was filled with hope and started care after which I got very sick. My chiropractor encouraged me to “stick it out” and continue my care with no medications or interference. I followed his instructions and after 1 month of care my symptoms subsided and I felt 200% better than I had ever felt in my entire life. I literally didn’t know people could feel this good. I decided right then and there that if Chiropractic was for me then I was for it. I quit my job and started working for that chiropractor at the age of 19. Sara feels blessed to have been trained by and exposed to some of the worlds leading doctors, healers and philosophers in the process of her professional growth and was personally mentored by Dr. Tory Robson for 10 years and trained by Dr. CJ Mertz for 5 years. 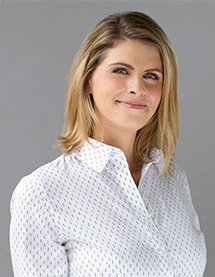 Sara has attended literally hundreds of educational seminars, training programs and had exposure to the likes of Deepak Chopra, Dr. Wayne Dyer, Dr. Jim Sigafoose, Dr. John DeMartini, Dr. Charlie Ward, among others, and has managed some of most successful chiropractic clinics in the world (Dr. Tory Robson, Dr. Emmett Blahnik, Dr. Karl Krantz) and large corporates (KPMG). Sara has a Post Graduate Degree in Business Administration and is an ACRRT Certified Radiologic Technologist, a certified Chiropractic Technician and has further certifications in: conflict management, customer service, finance and management. She brings with her a passion for helping others and 16 years of business management experience. Prior to her chiropractic career Sara worked as a CNA care giver at a nursing home and specialised in care of dementia patients.